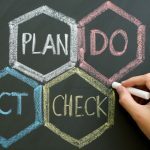 The PDCA (Plan-Do-Check-Act) cycle is one of the most commonly used tools for structuring the work of an organization nowadays, and it has found its way to numerous different industries and fields of work. And as it turns out, it’s particularly suitable for the work of healthcare professionals. 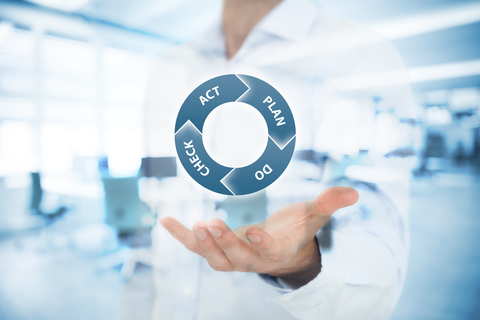 With the right approach, the PDCA cycle can completely transform the work of a healthcare facility, and improve its productivity by a huge margin. Healthcare is often a messy working environment, prone to human error and resource waste. 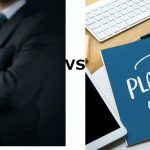 It’s also a field that relies on continuous improvement and a constant reevaluation of the practices applied in day-to-day work, meaning that a system like the PDCA cycle can be very effective in ensuring that the work schedule followed by employees is always up to date with current patient demands and other relevant factors. Hospital work tends to come in waves according to various environmental factors, and planning for those waves accordingly is a big step that can be taken to reduce the future workload over the course of a few weeks of the facility’s operation. When the hospital/clinic has maintained meticulous, accurate records of their work over a large enough period, they should be able to apply various statistical analysis tools to predict when the next spike is going to be, and allocate resources to it preemptively. Of course, this won’t always work out, as environmental factors tend to have a certain degree of randomness to them. That’s where the “Do” phase comes in, as it’s pretty much intended to be a playground for experimentation by the company’s leaders. In the above example, you can attempt to relieve a period of major workload by allocating a couple of extra physicians to one sector of the facility and arranging everyone’s schedules in a way that expects the extra load. However, if it turns out that the action wasn’t necessary (during the “Check” phase), you can record the results of that experiment and keep them in mind in the future. Once you’ve collected enough samples and know with a great degree of accuracy how the workload in your facility changes over time, you can move on to the “Act” phase and apply the developed changes on a large scale across the facility. 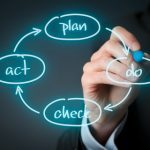 Another great aspect of the PDCA cycle is that it is very flexible and can easily be adapted to a number of different environments with their own unique requirements. For example, you may need to split the verification step into a two-part process, or you may decide that you’re going to move to the “Act” phase by default for certain small-scale changes. 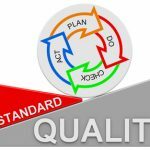 It can be argued that you won’t be working with PDCA in that case, or at least not the pure version of the system, but that shouldn’t be a problem by itself as long as you’ve been able to take something useful from PDCA and you can apply it successfully to your organization. After all, PDCA is meant to be a tool, and the purpose of a tool is to help you achieve a certain goal. If you have to alter the tool to get the job done better, that doesn’t mean you’re doing anything wrong. Of course, you should verify your approach in the long run and ensure that you’re not making a fundamental mistake that was the reason for the original system to work as it did in the first place. But as long as you take care in this regard, you shouldn’t face any problems. 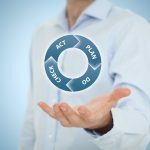 PDCA is going to be around for a long time, and it’s a system with a huge potential that can work wonders in healthcare environments specifically. It’s not a one-size-fits-all solution, despite its high degree of flexibility, but it’s also easily adaptable and it can be integrated it into your own facility with a little effort. And once the groundwork is complete, it’s very easy to benefit from the system in the long run.